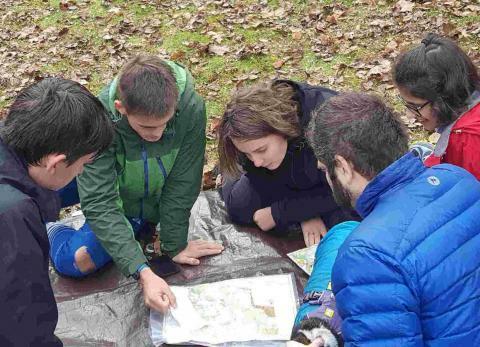 If you are an orienteer aged 12-20, can complete an Orange course on your own, and want to get better at orienteering, then join the Mid-Atlantic Team. The team, coached by veteran of several US World Championship teams, Boris Granovskiy, holds monthly training sessions in conjunction with QOC local events, organizes annual training days and weekends (including the upcoming training weekend in March), and takes occasional trips to national orienteering events. If you want to improve at orienteering while making friends through the sport, then the Mid-Atlantic Team is for you. To join, email boris.granovskiy@gmail.com a description of your orienteering experience and goals or come talk to Boris at most any local event.